Some creative ideas hatched in the classroom have a fleeting life. 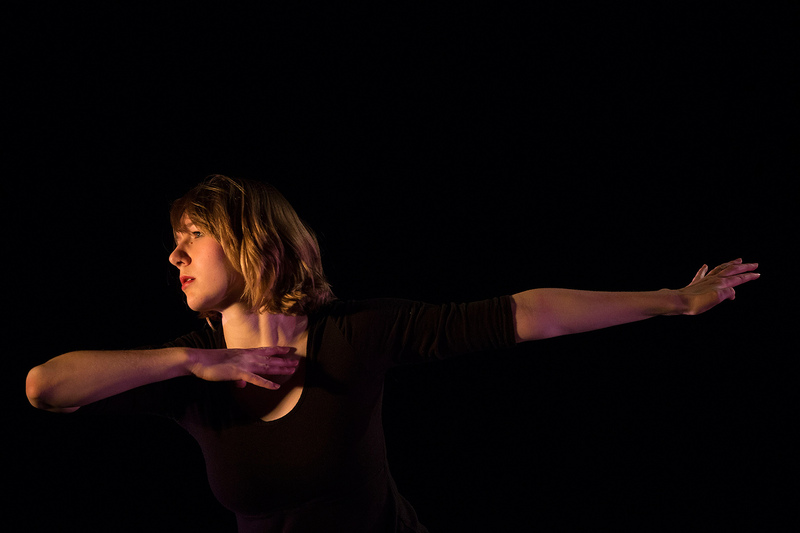 Others live long after graduation, becoming dissertations, books, or, in the case of Katie Ailes ’14, a film version of the piece “Polos” that she created in a Bates dance composition course. At Bates, Ailes transformed an oft-told story about her childhood dance teacher into a poem and dance. And now she’s used film to give the story even more life. Ailes, who was prized at Bates for her performances as both dancer and poet, combines both media in “Polos.” Undertaken for a course taught by Rachel Boggia, the piece started as “a poem for my high school dance teacher, who clearly struggled with body image issues,” Ailes explains in her blog. Ailes, who majored in English and dance at Bates, discovered Scotland during a 2012 study-abroad experience. She moved to Glasgow after graduation, supported by a Fulbright research award she received at Bates, to embark on her path to a doctorate in English at the University of Strathclyde. At Bates, Boggia encouraged Ailes to take the unconventional choreographic approach of starting with text. “I found that writing poetry about the experience allowed me to be more exacting about it,” Ailes writes. Ailes has performed “Polos” without text or without dance, as well as in combination, and the new video takes yet a different approach. Having performed with the spoken-word ensemble Loud Poets, she tapped ensemble videographer Perry Jonsson to collaborate with her on the video. The pair integrated some of Ailes’ existing choreography for “Polos” with both new blocking and improvisation. “This story is one I’ve been telling for a long time through various mediums, and I wanted to bring some of them together through filmmaking to really give the story life,” says Ailes.